The final omnibus volume includes all-new material (previously unpublished Volumes 14 and 15 of the series). Hapless Haruna needs help finding a boyfriend! After failing to win the eye of any guy in high school, Haruna enlists the help of cute upperclassman Yoh to coach her on how to make herself more appealing to the male species. Yoh agrees, with one catch: Haruna had better not fall for him! Yoh faces a difficult choice - should he go to university all the way in Tokyo or stay near Haruna? 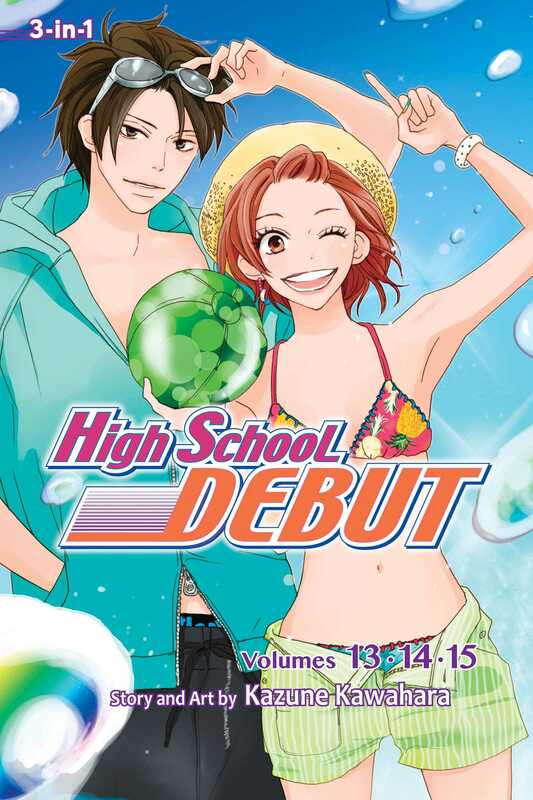 Haruna wants to support Yoh's decision no matter what, but will her high school romance end with his graduation? Don't miss the series finale, plus previously unpublished stories from volumes 14 and 15 of the High School Debut series!